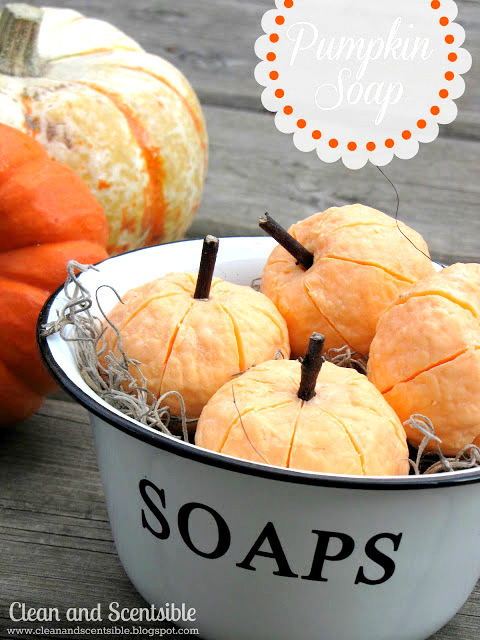 Make pumpkin soap in minutes... and all you need is soap, a grater and sticks. Seriously! Jen came up with a no heat method to create pumpkins out of soap. It's price efficient too, as 1 bar makes 2 pumpkins. A nice added touch is using scented soap in a nectarine scent. Great idea, Jen!